Shaukat Ali was and beaten up with the mob questioning his citizenship and accusing him of selling beef. The mob also asked if his name featured in the list of National Register of Citizens (NRC). “Are you from Bangladesh? Do you have the license to sell beef,” asked some of the men. And the mob forced Ali to eat pork while they continued to shoot the video. Police have detained some individuals for questioning following the incident. “An FIR has been registered vide Case no. 80/ 2019 u/s 143/ 341/ 325/ 294(a)/ 295-A/ 153- A(b)/ 384 IPC. Investigators are on the job to apprehend the culprits,” the Biswanath police said. 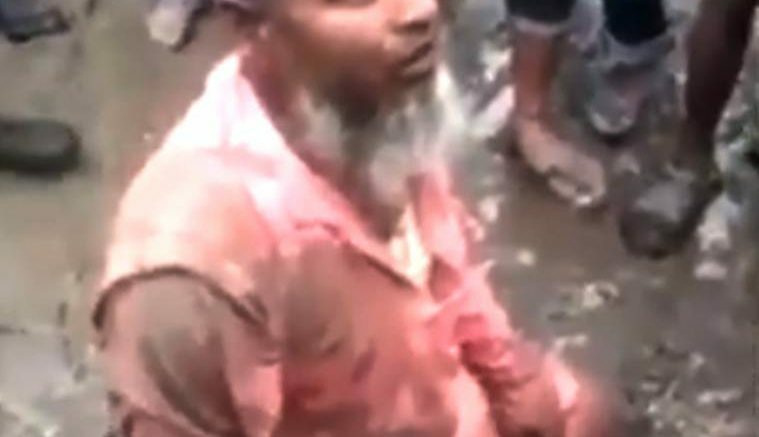 Be the first to comment on "Mob attacks 45-year old Muslim on beef, forces him to eat pork"